Macrothele gigas is a newly described wandering spider by Shimojana and Haupt in 1998. 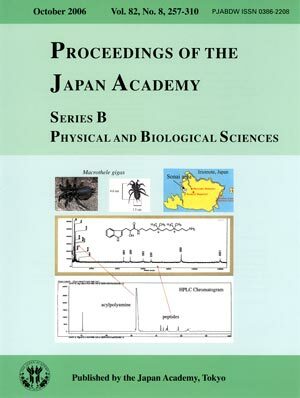 Two kinds of spiders belonging to genus Macrothele are known in Okinawa and Formosa, Macrothele gigas (Iriomote) and M. holsti (Formosa), respectively. M. gigas possessing lethal venom is a forest inhabitant. A bite of M. gigas gives severe pain and then numbness. The victim sweats profusely, feels nausea followed by vomiting, and then may collapse. The venom profiles of MALDI-TOF MS and HPLC are shown below, in which the major toxic principle is a novel polyamine toxin named MG30. The toxic principles of peptide nature are observed to have the molecular weight 4000–6500 in MALDI-TOF MS analysis. All of these peptide toxins are cystine knot rich ion channel blockers (see text). 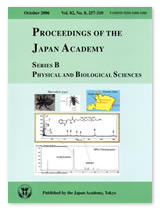 Photos and captions were prepared by Prof. Terumi Nakajima, President of Hoshi University.